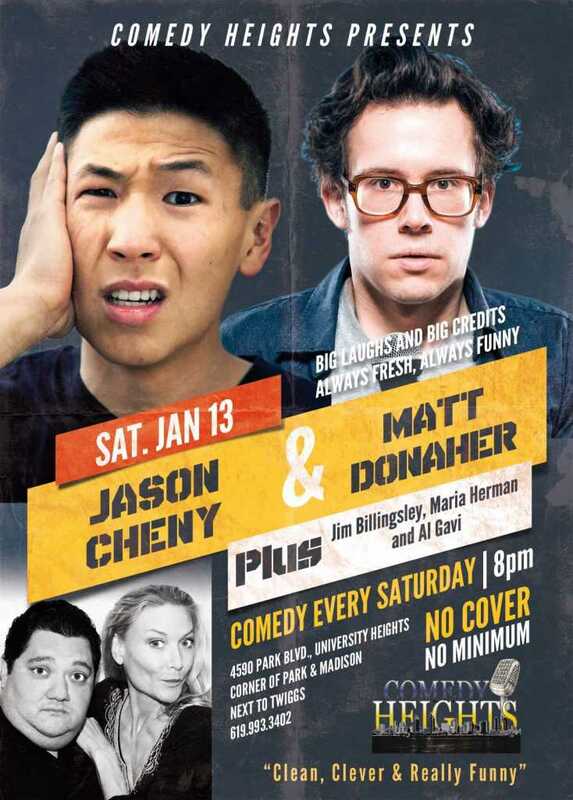 January 12th and 13th at Comedy Heights! 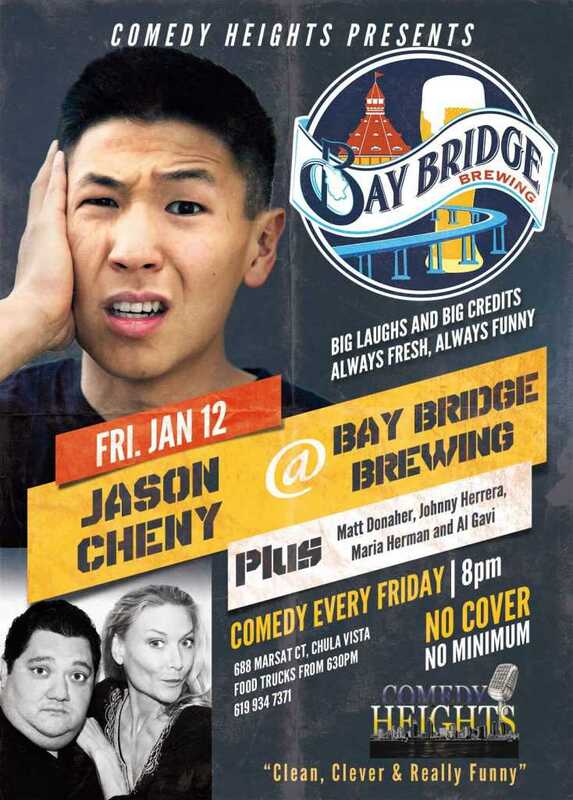 This Friday at Bay Bridge Brewing 8PM! JASON CHENY with Matt Donaher, Johnny Herrera, Maria Herman and Al Gavi! This Saturday at Twiggs Coffeehouse 8PM! JASON CHENY with Matt Donaher, Jim Billingsley, Maria Herman and Al Gavi! Next story Friday January 12th at Bay Bridge Brewing! Previous story Catch the first Saturday Comedy Heights Show of 2018! This Saturday at Twiggs with Steven Briggs!